Make a plan and stick to it. 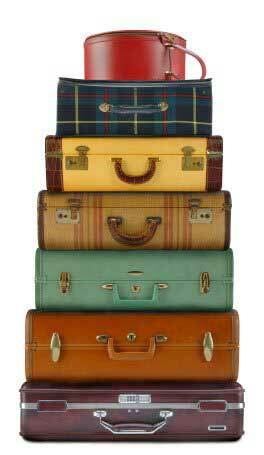 As an architect plans a building, so must you plan the contents of your suitcase. A packing list eliminates the panic of last-second packing, serves as a handy guide for repacking at the end of the trip and can be beneficial in the unfortunate event of lost or stolen luggage. Check the weather forecast of the destination and plan accordingly. For almost all outdoor activities, take pieces that can be layered. Lay out the items you intend to take and reexamine your list. If possible, weed out single-use items and extras. Travel kits are best for toiletries. Having a travel kit perpetually stocked in a waterproof case will save packing time before the trip and aggravation after arrival. Most personal toiletry items come in inexpensive travel sizes, so purchase these whenever you see them, so as not to arrive with a half-empty bottle of your favorite hair gel. Iron everything before packing. If it goes in crisp and clean, odds are more in its favor of coming out the same. Button all buttons and zip all zippers. Know when to fold ’em. Practice folding like it’s done in clothing stores-that method is used for a reason. The better the fold, the fewer the creases. Try to think chronologically, placing the items to be worn first on the top. This will prevent rooting around the suitcase for a specific item while disrupting the rest. Always carry travel documents, medication, jewelry, traveler’s checks, cash, keys and other valuables in your carry-on luggage. Items such as these should never be packed in checked luggage. Traveling to the Bahamas for a trip with Epic Diving? Feel free to Contact Us if you have any travel related questions. We know that air travel can be one of the most stressful parts of the trip and will help with any questions or concerns you may have.